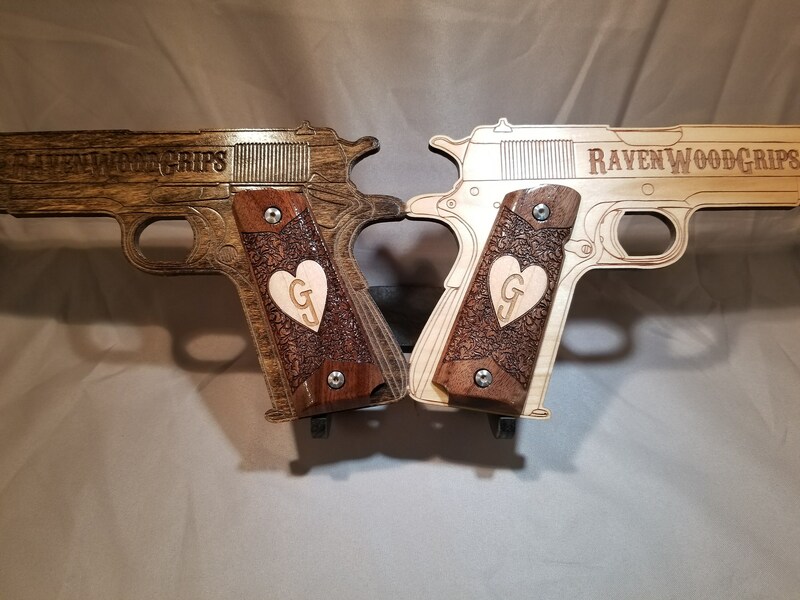 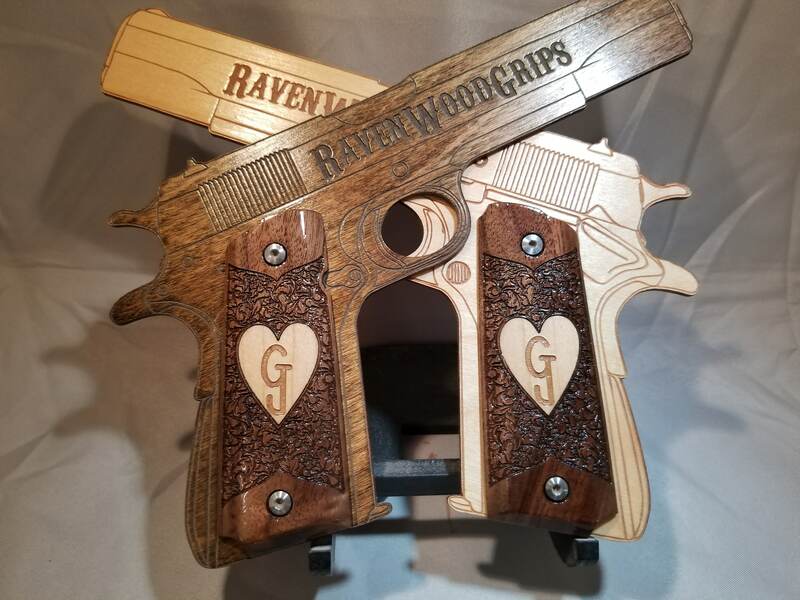 Show your love with these AWESOME grips. 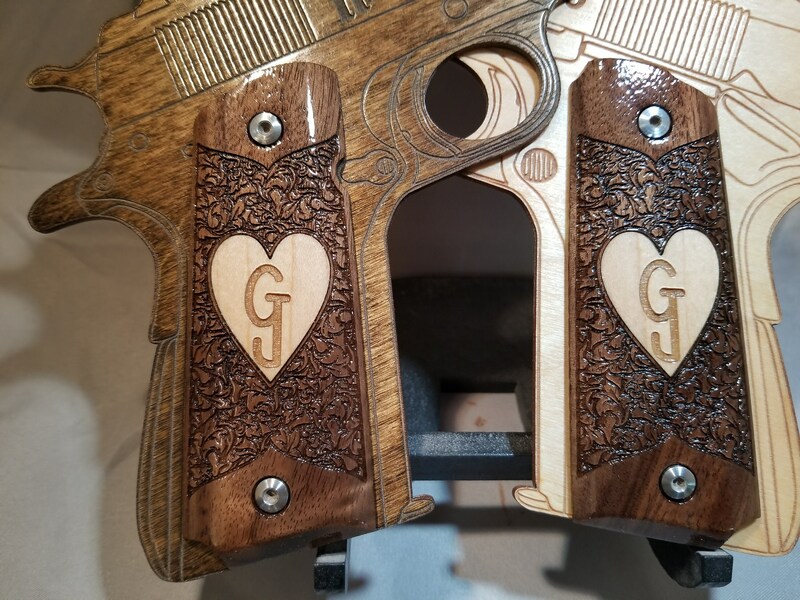 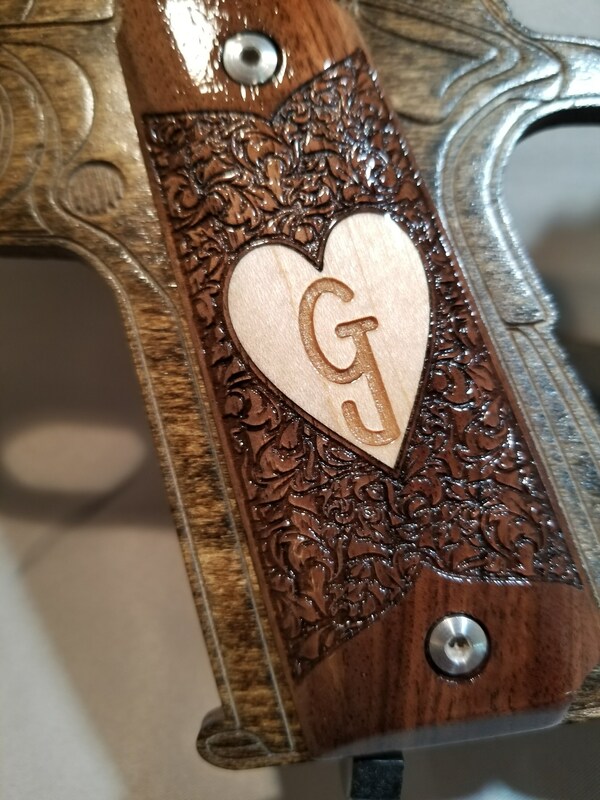 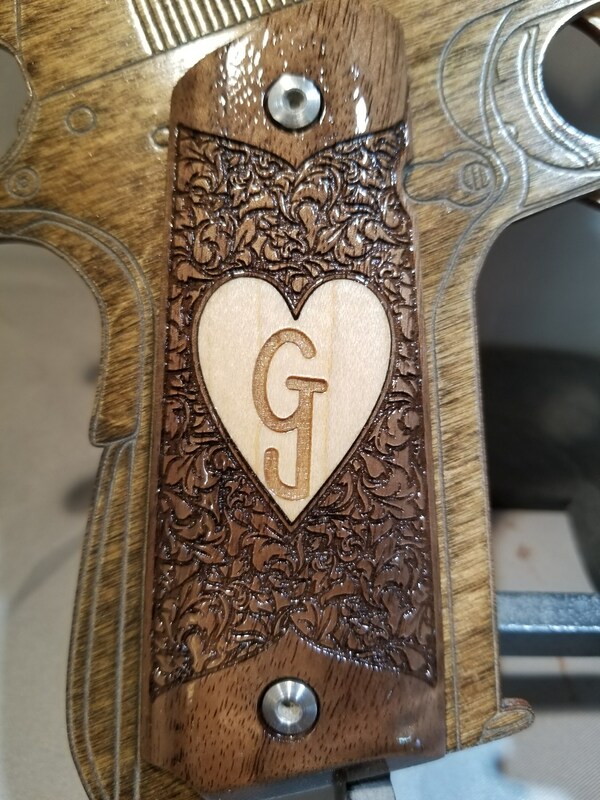 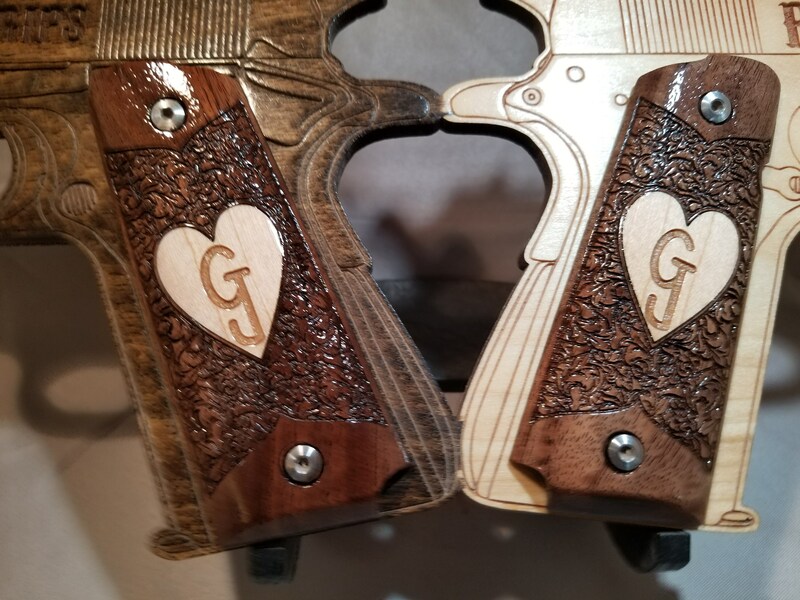 Made from WALNUT, with a beautiful leaf patterning in the middle between the screw holes, and, centered, an inlaid MAPLE heart, which can be engraved with your: brand, names, dates, logo, or whatever else you would like (that will fit). 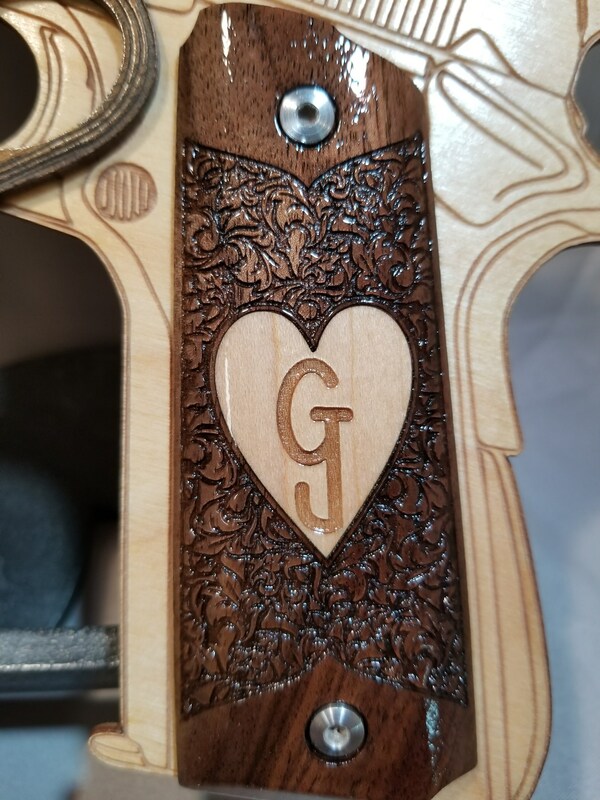 If you would like text in the heart, you can just let me know what in the NOTES section of the order. 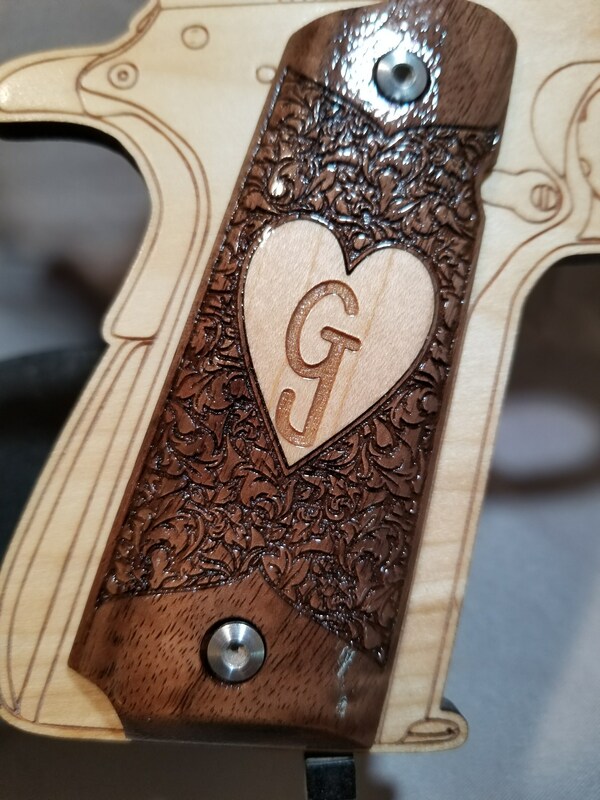 If it is something else you would like, please message me before you place the order!